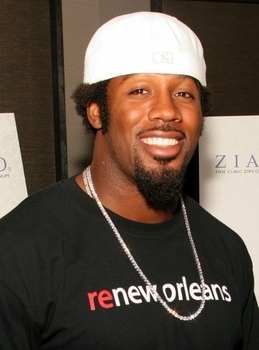 Dhani Jones is sporting a Ziamond Cubic Zirconia CZ Tennis Necklace in 14k white gold. Ziamond offers many styles and lengths of tennis necklaces for any occasion. All Ziamond Cubic Zirconia CZ jewelry is set in 14k gold, 18k gold or platinum.